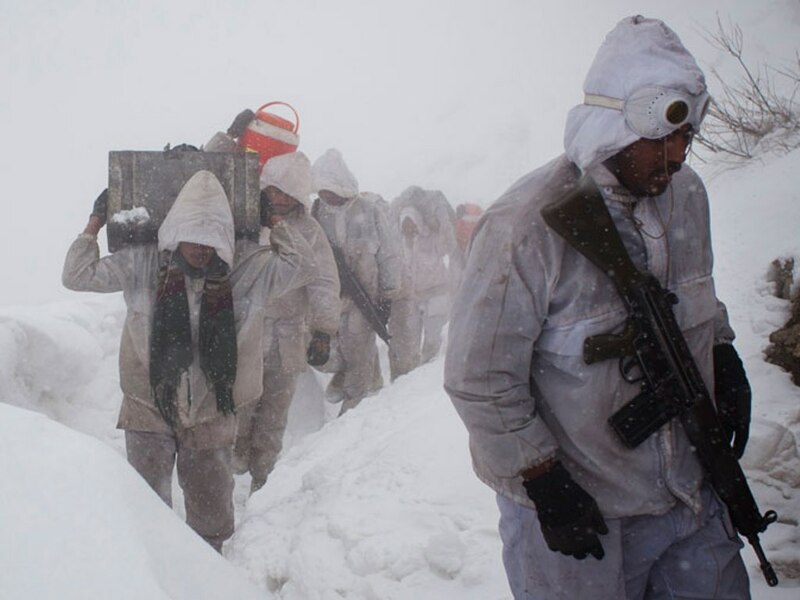 Pakistani soldiers dug into a massive avalanche in a mountain battleground close to the Indian border on Saturday, searching for at least 135 people buried when the wall of snow engulfed a military complex. More than 12 hours after the disaster at the entrance to the Siachen Glacier, no survivors had been found. “We are waiting for news and keeping our fingers crossed,” said army spokesman Maj. Gen. Athar Abbas. Hundreds of troops, sniffer dogs and mechanical equipment were at the scene, but were struggling to make much headway into the avalanche, which crashed down onto the rear headquarters building in the Gayari sector early in the morning, burying it under some 21 meters (70 feet) of snow, Abbas said. The military said in a statement that at least 124 soldiers and 11 civilian contractors were missing. Siachen is on the northern tip of the divided Kashmir region claimed by both India and Pakistan. The accident highlighted the risks of deploying troops to one of the most inhospitable places on earth. The thousands of troops from both nations stationed there brave viciously cold temperatures, altitude sickness, high winds and isolation for months at a time. Troops have been deployed at elevations of up to 6,700 meters (22,000 feet) and have skirmished intermittently since 1984, though the area has been quiet since a cease-fire in 2003. The glacier is known as the world’s highest battlefield. The headquarters in Gayari, situated at around 4,572 meters (15,000 feet) is the main gateway through which troops and supplies pass on their to other more remote outposts in the sector. It is situated in a valley between two high mountains, close to a military hospital, according to an officer who was stationed there in 2003. More soldiers have died from the weather than combat on the glacier, which was uninhabited before troops moved there. Conflict there began in 1984 when India occupied the heights of the 78-kilometer (49-mile)-long glacier, fearing Pakistan wanted to claim the territory. Pakistan also deployed its troops. Both armies remain entrenched despite the cease-fire, costing the poverty-stricken countries many millions of dollars each year. Pakistan and India have fought three wars since the partition of the subcontinent on independence from Britain in 1947. Two of the wars have been over Kashmir, which both claim in its entirety.